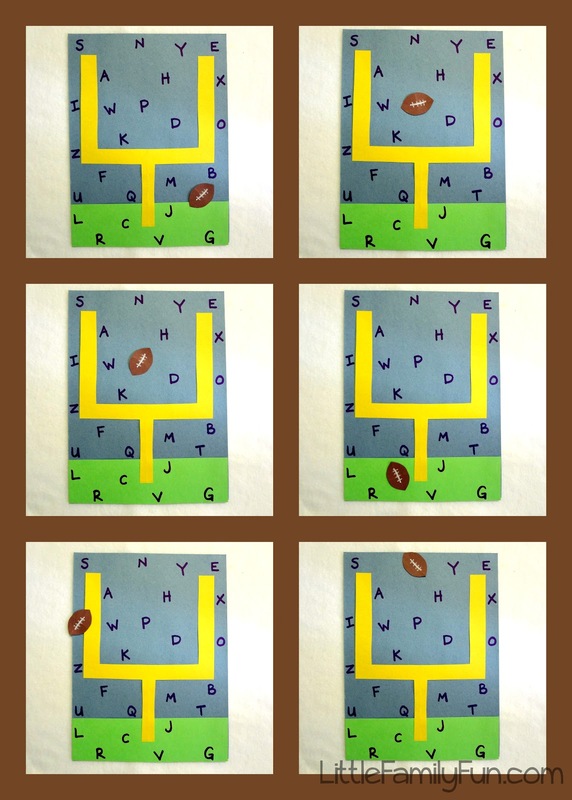 Another one of our FOOTBALL themed activities was this Letter Game! 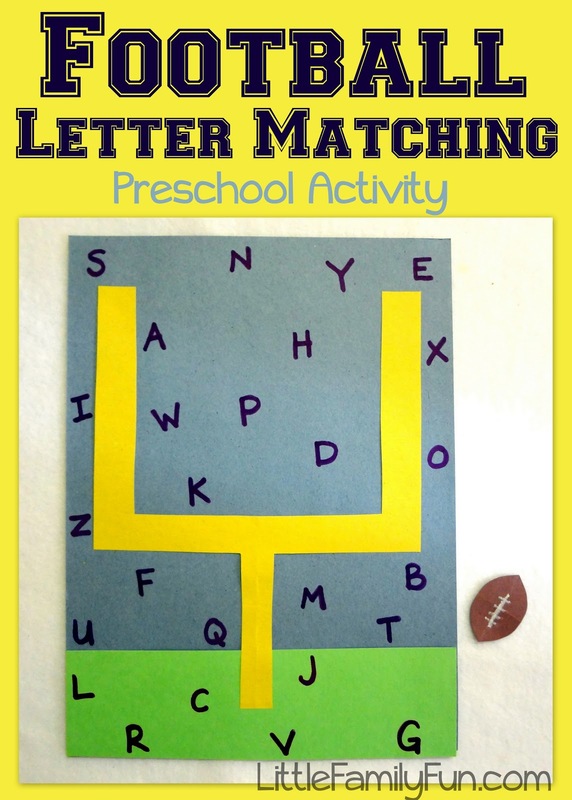 It was super easy and fast to create and was really fun way to review letters with LB (2). Fold a yellow piece of construction paper in half and cut out a shape of half a football goal post, so that when you open it up, it looks like the whole goal post. Glue it onto your blue paper. Write the letters of the alphabet all over the whole picture. Cut out a small football shape from brown construction paper and draw laces on it with a white crayon. Sit down with your child and say a letter of the alphabet. Then have them place the little football on top of the letter. When LM(5) got home from school, I played with him, but this time, I said the sound and had him put the football on the letter. It was really fun! My son is past letter recognition and now on sounds. He got really confused when I made the "K" sound. Any suggestions because C and K are the same sound? We did this activity and my son was really confused when I made the letter for C and asked him to identify it. K and C are the same sound, any suggestions? Maybe leave off the C and K if they're past simple letter recognition? 1-You could place the football on either the C of K and ask your son to tell YOU what the sound is. That way you can have him practice the sounds separately. 2- you could tell your son there are 2 letters that make that sound and to find both.